Roseville, MN based Fantasy Flight Publishing was founded in 1995 by its CEO, Christian T. Petersen. Since the release of its first game product (Twilight Imperium) in 1997, the company has been doing business as Fantasy Flight Games ("FFG"). 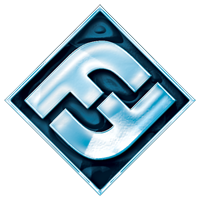 Since that time, FFG has grown to become one of the biggest names in the hobby games industry, being a marketplace leader in board games and maintaining strong businesses in the card game, roleplaying game, and miniatures game categories.